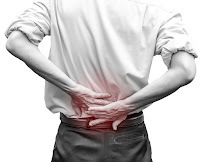 MedFriendly Medical Blog: Low Back Pain: Are You at Risk? 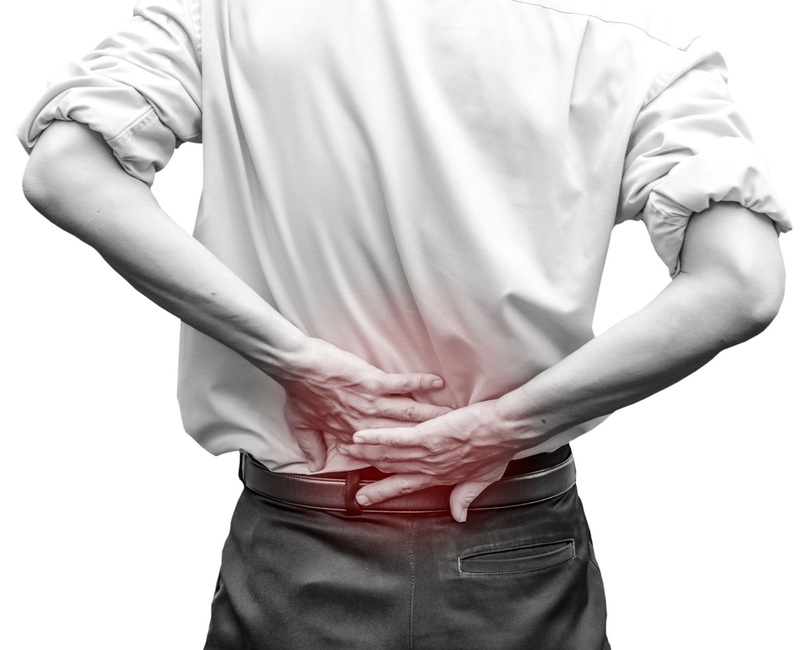 Low Back Pain: Are You at Risk? Have you ever experienced a sudden, sharp sensation in your lower back? How about a dull, constant ache just below your waist? If yes, then you belong to the 80% of adults who experience low back pain. According to the National Institute of Neurological Disorders and Stroke (NINDS), low back pain is the most common cause of job-related disability and a major contributor to absences from work. The severity of the pain could range from a mild ache to an intense pain which could limit your mobility. The onset of low back pain could be sudden or gradual, depending on the cause. Some diseases could present with low back pain. Among these are sciatica (compression of the sciatic nerve), scoliosis (lateral curvature of the thoracic spine) and a herniated disc (compression or bulging of the intervertebral discs). The lower back is composed of the lumbar region of the spine. This region has 5 vertebrae (lumbar 1 to lumbar 5) that bear and support the weight of the upper body. Intervertebral discs are located between each vertebrae. They function as shock absorbers and cushions. They also protect the spinal cord in the middle of the spine. There are 31-pairs of spinal nerves attached to the spinal cord and they are responsible for the transmission of signals to the brain as well as body movement. Lumbar ligaments keep the vertebrae in place and lumbar tendons connect the muscles to the spinal column. • Age. Pain in the lower back becomes a common concern as you age. The symptom usually occurs between ages 30 and 50. As you age, your muscle mass, tone, and elasticity gradually decrease. This could make you prone to having tears in your tendons and muscles. Osteoporosis could also predispose you to brittle bones. Your intervertebral discs also lose flexibility and fluid, compromising their function as shock absorbers. • Fitness level. Low fitness activity could make you prone to having back pain. Having weak abdominal and back muscles might not support your spine properly, especially if you are someone who tends to do exercises and intense outdoor activities in the weekends after being inactive for the rest of the week. • Pregnancy. During pregnancy, your body releases a hormone called ‘relaxin’ that serves to relax your pelvic ligaments in preparation for labor. This could make the ligaments that support your back unstable. The growing baby also adds additional weight to your upper body. These could lead to low back pain, a complaint which is common in pregnant women. The symptom usually resolves after childbirth. • Weight gain. Your lumbar spine supports the weight of your upper body. Being overweight or obese can put too much weight and stress on your back, leading to low back pain. • Occupational risk factors. Doing jobs that require pushing, pulling, lifting heavy objects, especially those that involve twisting of the spine, can lead to back injury and low back pain. • Poor posture. Poor posture can put undue stress on your spine as well as constrict your blood vessels and nerves. It can lead to low back pain, especially if you sit all day in a chair that has inadequate back support. • Back pain in children. Low back pain is not common in children. However, carrying a heavy backpack loaded with school supplies can lead to muscle strain and muscle fatigue. It is recommended that a child’s backpack should weigh 10–15% of his or her body weight. Obese children, however, are recommended to carry a bag that is one-third lighter in weight than the other children’s. How to deal with low back pain? Low back pain can restrict your movements and make daily activities difficult to do. If you are experiencing low back pain, even the simple act of bending over to put your shoes on could be hard. A dressing aid like a long shoe horn makes it easier to slip on your shoes without the need to bend over and tug at the heel tab, no matter how high-cut your shoes are. These benefits of using a long shoe horn could prevent your back pain from being aggravated by bending movements. Applying cold packs could ease pain and inflammation in your lower back, as can heat therapy and massage, improving your mobility. You should limit your bed rest and resume daily activity as soon as you can. Prolonged bed rest could further diminish your muscle tone and might do you more harm than good. Just be careful to avoid movements that exacerbate the pain. If the pain persists despite these home remedies, you should consult your doctor for further diagnosis.